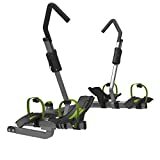 A quick review of the Swagman XTC2 Bike Rack. Been a great rack for 5 years and many miles. I quickly cover how to use the rack and the pros/cons of it and possible alternatives.